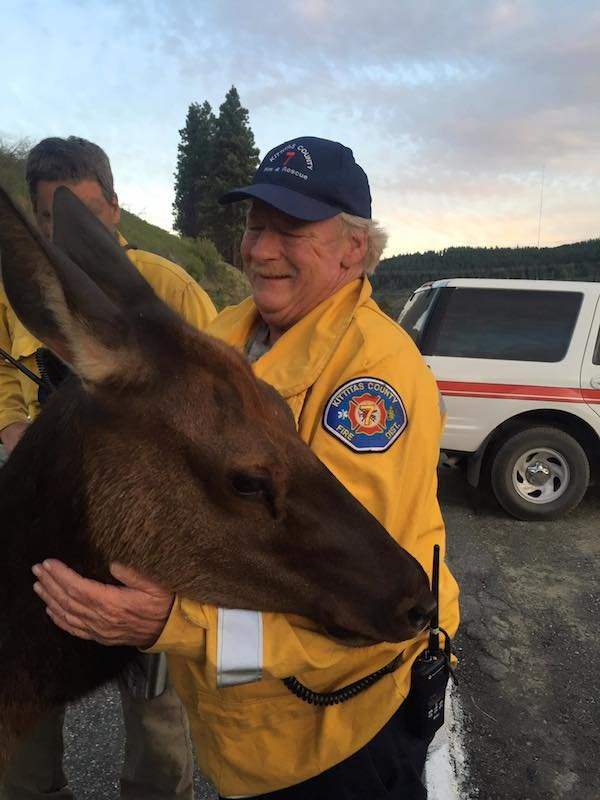 Firefighters with Kittitas County Fire District #7 in Washington state, were battling a wildfire in the woods when they received a friendly visitor they weren’t expecting. 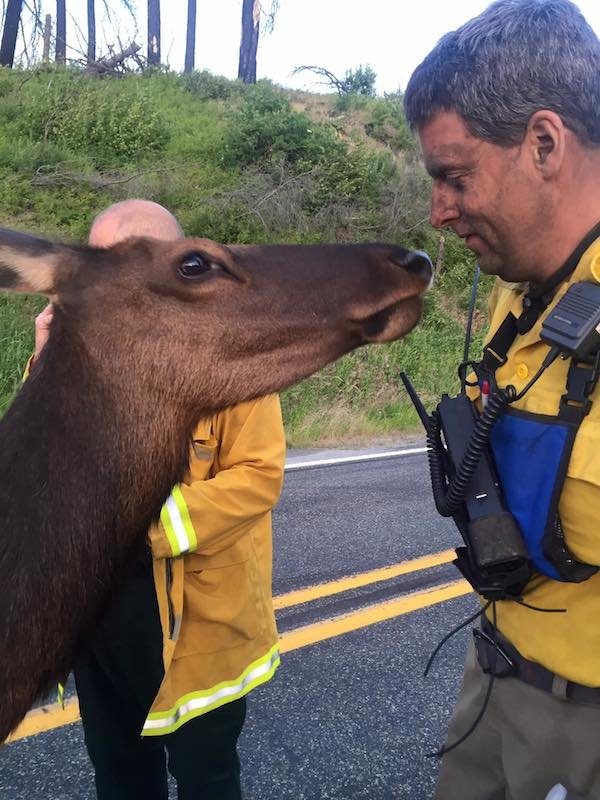 An elk wandered into their compound. But she didn’t behave aggressively. Instead, she began asking people for attention. 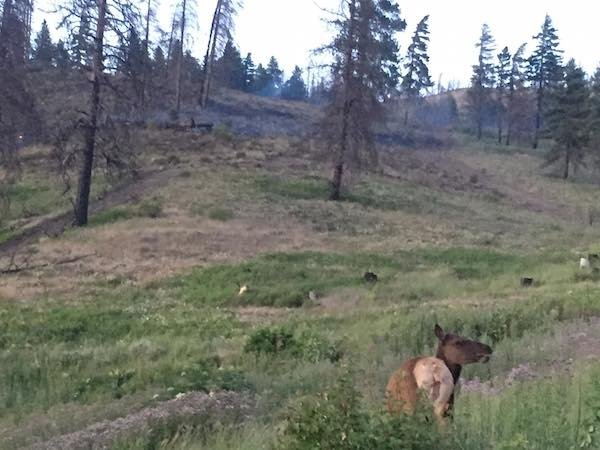 “She walked into the command post area and began nudging everyone,” the Kittitas County Fire District wrote on Facebook. 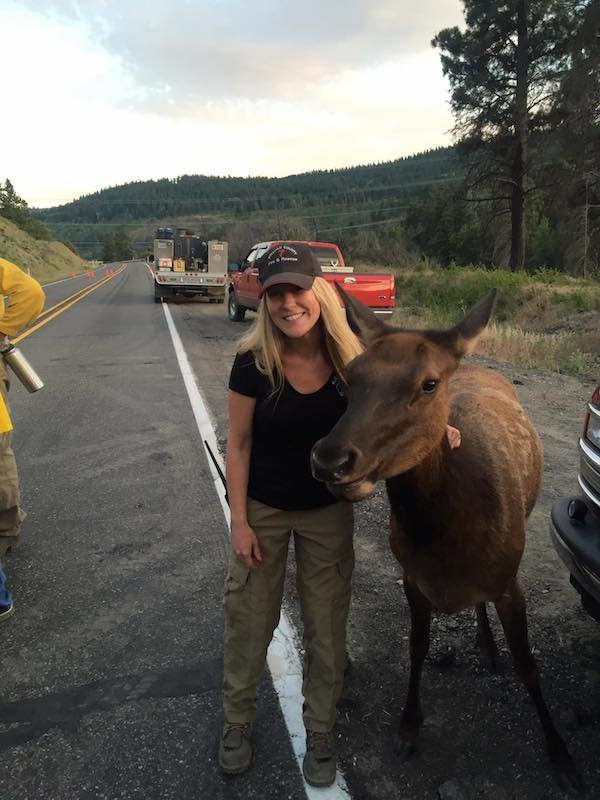 It turns out the elk, named Buttons, is well known in the town for her friendly nature towards people. 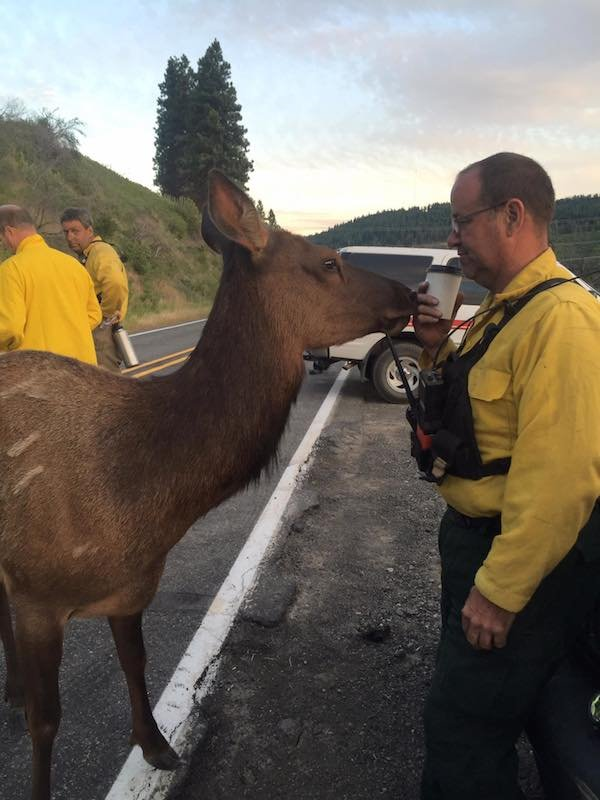 As to why an elk would be so friendly, the Daily Record News reported back in 2015 that Buttons was orphaned from her family when she was little and soon took up residence on a hillside along with the local cows, horses and goats in Cle Elum. Since then, locals said the friendly elk has become a fixture in the community and she’s fed hay in the winter by one of the farmers. She apparently also makes frequent visits to the nearby chimpanzee sanctuary to pay the rescued animals a visit. During her visit with Kittitas County firefighters, Buttons made sure to say “hello” to each and everyone one of them. And tried to get a sip of coffee? 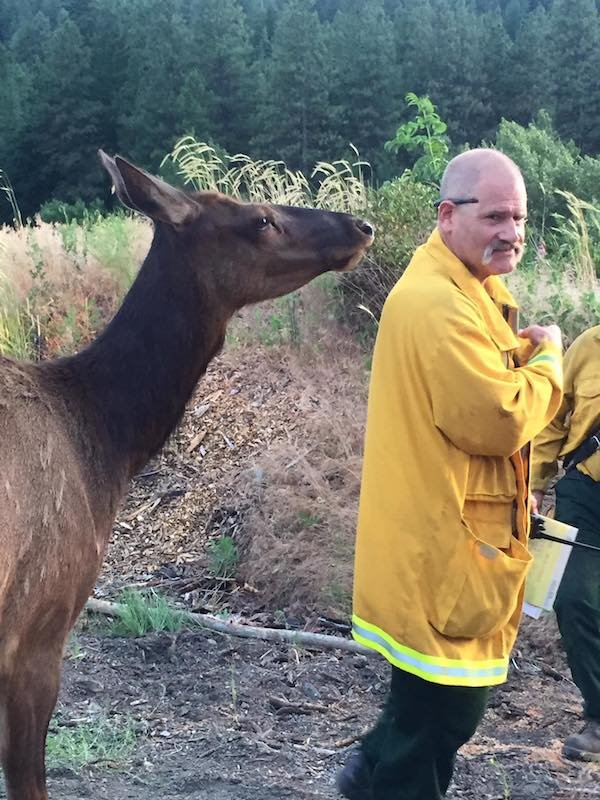 “She is making her rounds giving kisses to each firefighter and officer here,” the county’s team said. 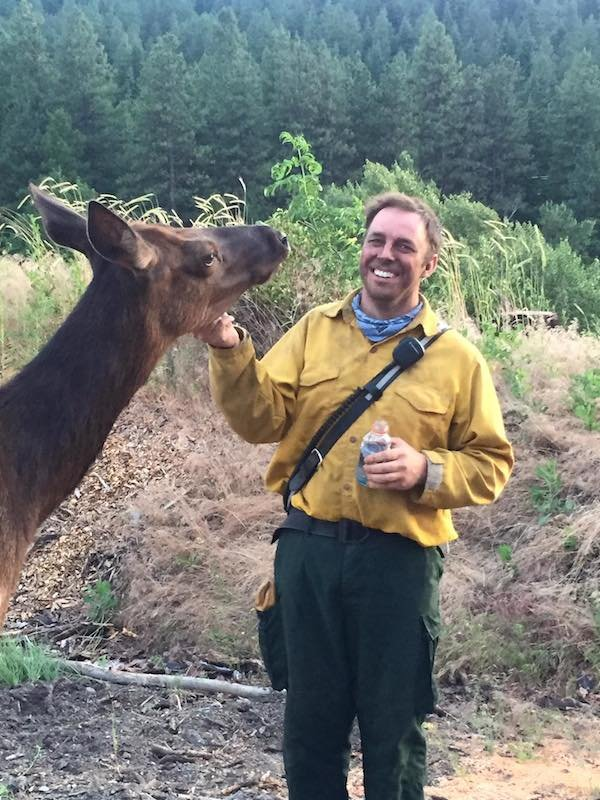 In these photos, the firefighters look relaxed and happy to take a break from fighting the blaze to give Buttons some cuddles. They shared the adorable photos on Facebook in the hopes that hunters will know to steer clear of Buttons. 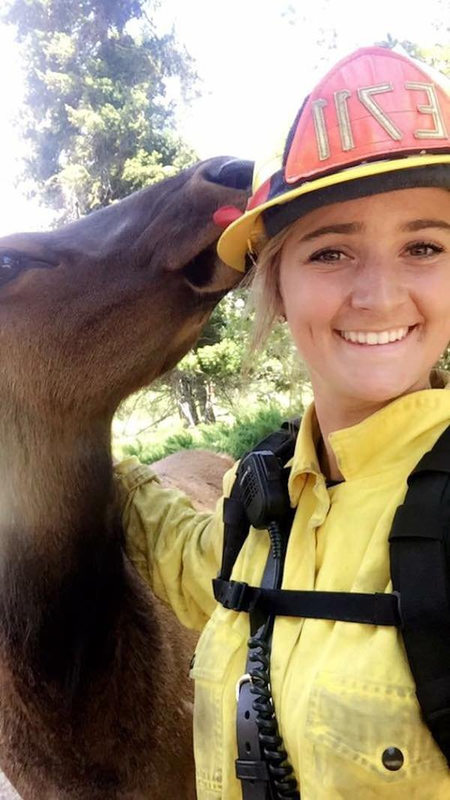 Since then photos of the elk with the loving nature has gone viral. This entry was posted in Animals, Happy Things and tagged Animals, Love. Bookmark the permalink.